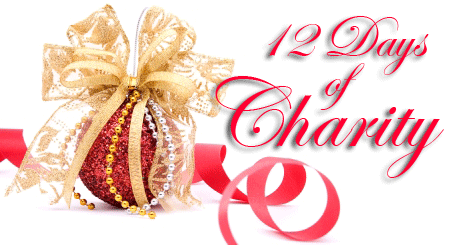 For the past several years, starting on December 1, I’ve posted a list of 12 charitable organizations I support, which I’ve taken to calling The 12 Days of Charity. The list varies from year to year, though there are some perennials. I’ll be adding to this post with each charity as the 12 days progress; my goal is to update each day, if life doesn’t interfere too much. Today is World AIDS Day, and I’m sticking close to home this year by focusing on AID Atlanta (Twitter: @AIDAtlanta). Founded in 1982, AID Atlanta works to reduce new HIV infections, including providing testing, medical services, and an infoline, as well as case management and medical services for those living with HIV and AIDS in the Atlanta metro area. AID Atlanta produces the annual AIDS Walk Atlanta & 5K Run (@AIDSWalkAtlanta) and the Atlanta Cotillion, a gala fundraiser that’s resulted in donations of more than $1.1 million over 11 years. In memory of actor Paul Walker, who died in a car accident over the weekend: Reach Out Worldwide (@ReachOutWW), which Walker founded in 2010 after serving as part of a relief team responding to the Haiti earthquake. Through ROWW, volunteers with first-responder skills provide support after disasters to supplement local resources and speed up relief efforts. Recent deployments have included helping with cleanup after the recent Illinois tornadoes and sending a medical team to help in the devastation after Typhoon Haiyan in the Philippines. With my friend Eugie Foster going through lymphoma treatment right now, this one hits particularly close to home. The Leukemia & Lymphoma Society (@llsusa) supports people with blood cancers (leukemia, lymphoma, Hodgkin’s disease, and myeloma) by raising funds for research, delivering patient services and information, and providing public advocacy for funding and support. LLS also runs the Team in Training program, which offers coaching and training for endurance sports such as marathons and triathlons while raising funds for research. You Can Play (@YouCanPlayTeam) fights homophobia not just among players but also among fans and is “dedicated to ensuring equality, respect and safety for all athletes, without regard to sexual orientation.” YCP was co-founded by Patrick Burke, son of Toronto Maple Leafs general manager Brian Burke, who serves on the organization’s advisory board. Patrick’s youngest brother (Brian’s son), Brendan, was an openly gay college hockey player who was outspoken against homophobia in sports. He died in a car accident in 2010, and YCP was founded in March 2012 his memory. Based in New York City, City Harvest (@CityHarvest) is a 30-year-old food rescue program that fights hunger and reduces food waste by collecting leftovers from restaurants and delivering them to more than 500 community food programs in the city. The organization also runs food drives and supports affordable access to food to help reduce food insecurity. City Harvest delivers an average of nearly 126,000 pounds of food every day, at a cost of only 24 cents per pound, and has distributed a total of more than 465 million pounds of food. Médecins Sans Frontières (@MSF_USA), or Doctors Without Borders, is committed to providing medical care to those who need it most, anywhere in the world. Created in France in 1971, MSF works independently in over 70 countries to treat people who are facing war, famine, and disease. MSF’s field staff includes thousands of doctors, nurses, logistics experts, administrators, epidemiologists, laboratory technicians, mental health professionals, and others from dozens of countries. MSF USA was founded in 1990. Founded in 2011 after the tornado that devastated Joplin, Missouri, Operation BBQ Relief (@OpBBQRelief) is made up of groups of competition barbecue cooking teams that provide food to displaced families and rescue workers helping with recovery after disasters. The organization has deployed its services after 13 disasters in the past two years, including Hurricane Sandy and the fertilizer plant explosion in West, Texas, and has served more than half a million meals since its inception. charity: water (@charitywater) works to improve water infrastructure and bring clean, safe water and sanitation services to the 800 million people in developing countries who don’t have clean water. The organization provides water filtration, piping, and well services, as well as hygiene education and sanitary latrines to protect against water contamination. With operations funded by private donors, 100% of public donations goes toward services. I’d never heard of spinal muscular atrophy until a few years ago, when a friend did a fundraiser for the SMA Foundation (@smafoundation). SMA, the leading genetic cause of death in infants and toddlers, is a progressive neuromuscular disease that results in gradually increasing muscle weakness and loss of motor control. Respiratory problems are a primary cause of illness in children with SMA, and most of those with the earliest onset type of the disease die in the first few years of life. The SMA Foundation is the leading funder of research into the disease. Some years ago, I gave my sister a water buffalo for Christmas. (Veggie Tales fans will get the reference.) Heifer International (@heifer) made that possible. Donors can select from a long list of animals (partial shares available) that are then provided to people in developing countries, who raise them to use for food, to sell, or to help with farming and gardening. The organization’s expanding line of gift products also includes irrigation pumps, stoves, and other items, plus training and education to teach people how to use their gifts. Malaria is a leading cause of death among children in Africa, and it’s transmitted by a simple mosquito bite. Nothing But Nets (@NothingButNets) provides mosquito nets to help guard against this disease. Founded in 2006, the organization works with the United Nations and other partners toward a goal of ending malaria deaths. Just $10 pays for a bed net impregnated with insecticide, including distribution to those in need and education on its use, and Nothing But Nets has provided more than 7 million nets to sub-Saharan Africa so far. A charity classic, Meals On Wheels (@_mealsonwheels) is dedicating to ending senior hunger. Started during World War II and formally organized in 1954, MOW provides a million meals to the elderly every day in the United States through more than 5,000 local nutrition programs for senior citizens. The program has more than 2 million volunteers who work to serve meals at community senior centers and to deliver meals to those who are homebound.